What is Pickleball? Pickleball is a racquet sport that brings together various elements of similar games such as tennis, table tennis and badminton. The game requires a minimum of two players and a maximum of four. The players use a paddle to hit a ball, similar to a whiffle ball over a net. The game started out as a children’s backyard game, but quickly gained popularity among adults as well, and has become a well-established sport in its right, with an illustrious and interesting history. By now, your interest in the game has been piqued, and we can’t blame you – it is an interesting sport. You probably want to know how you can join in on the fun and become the best pickleball player out there. We admire your ambitions, and would like to help you in any way possible. This includes getting to know the game. You need to know where pickleball came from, to understand where it is going. You’ll need the correct equipment if you want to become the very best. You will also need to know the rules and regulations inside and out. You’re going to have to become familiar with the court; after all, that is where you’ll be spending the majority of your time. Once you know these things, you will need to know how you will be ranked and how to quickly climb those ranks. You’ll need to know your opponents and what sort of strategies they will use against you. We’re here to help you on your journey and teach you all you need to know. When you have been sufficiently educated, we are going to show you where you can play and how you can be recognized by the relevant organizations. Get ready, you’re about to become a pickleball superstar. It all started on a balmy Saturday afternoon in 1965 on the beautiful Bainbridge Island in Washington at the home of former state representative Joel Pritchard. He and his friends, Barney McCallum and Bill Bell, came home to find their families complaining of boredom on that lovely day. The friends decided to set up a game of badminton, but couldn’t find a shuttlecock. Determined not to give up, the friends improvised. They found a whiffle ball, lowered the badminton net and made paddles from plywood that they found in the shed. The rest is history… There has been some speculation as to the origins of the name, with some claiming that the name was derived from the family dog- Pickles. The true story was clarified by Joel’s wife, Joan, who explained: “after I said it reminded me of the Pickle boat in crew where oarsmen were chosen from the leftovers of other crews. Pickleball soon gained popularity, people praised the simple yet enjoyable game, and before long it had a massive following. The game gained international acclaim, and people just couldn’t stop raving about it. Before long, tournaments were set up, and the rest is history. Now, you know where the game came from, and it is a charming story. 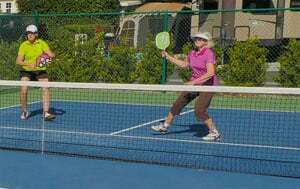 Pickleball is a family game and can be played by anyone who is willing to learn. But, you must have the right equipment. The correct equipment is essential, but you’ll want more than just correct equipment- you will want the very best pickleball equipment out there. After all, aren’t you a champion? Your paddle can be likened to your sword. This is the piece of equipment that will be your primary tool throughout the game- so you’re going to have to choose your paddle carefully. Fear not, we are here to help. Nobody wants to be on court swinging a heavy club around- you need to get something that is perfectly balanced, that won’t be ineffectually light and uncomfortably heavy. Most paddles range from about six to nine ounces. The ideal weight for you will depend on previous injuries or your comfort. A heavy paddle will allow you to drive the ball harder, but you won’t have much control over the ball with your heavy paddle and your arm will become fatigued much quicker. A lighter paddle won’t drive the ball hard, but will allow you more control over the ball. Prices on paddles can be about $50 to about $130. The price depends on what the paddle is made out of. A wood paddle will be the cheapest at only $13, but wood paddles are the heaviest. Next are composite or graphite paddles; these can be a little more expensive but they are definitely worth it. It would be a good idea to first try out your friends’ paddles before buying your own. Ask them if you can test out their paddles and try and find a diverse range of paddles to try from. This will give you a better idea of what you want when you are in the store. Beginners are advised to start out with a reasonably priced graphite or composite paddle. If you would like to know our suggestions of the best pickleball paddles out in the market – click here. Your paddle needs to fit within the circumference of your hand. If it is too small or too large, then it could affect your swing and overall performance in the game. Paddles that are too big can lead to joint problems in your arm, which no one wants to experience. If you find the right sized paddle, this can allow you optimum wrist action, which gives you better control over the ball and allows for more powerful serves. Paddle grip sizes come in 4 inches to 4 ½ inches. Like tennis, the grip size is broken down into 1/8 increments. While shopping for your paddle, you will need to try out all the different sizes and find which one sits in your hand most comfortably. You have your sword ready, but now you need the object that the game is centered around. You need to find the right ball, which will aid you in your victory. You are also going to have to find out which ball your opponent is using. You can’t just use any ball, especially if you want to play in tournaments; you are going to need to find out which are approved by the USA Pickleball Association. If you’re going to play outside, you have three brands to choose from: TOP, Dura and Onix. These balls are seamless, and are all made through a rotationally molded one-piece construction process. Once the process is complete, holes are drilled through the outside of the ball. These balls are strong and durable as they are designed specifically for outdoor use. If you are going to be playing indoors, you have four choices: Jugs, PickleballNow Indoor Ball, the Big Hole Dura and the Onix PURE Indoor Balls. 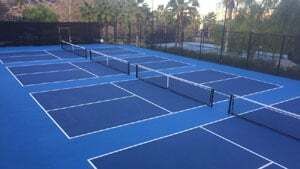 You will have to do your research and find which two balls are best for you, as you will be playing both indoors and outdoors during your pickleball sporting career. Try and find one of each that is suited to your needs, and always, we repeat, always, find out where you will be playing beforehand. Click Here for our suggestions for picking out the right Pickleball ball for your game. As with any game, pickleball comes with a strict set of regulations. This is to ensure fair play, and enjoyment for all. Therefore, you need to follow all of the regulations to enjoy the game to the fullest. Even when it comes to the net. The net can be made from any material, though it is advised that you choose a durable material. The net should be at least 20 feet, extending from one side of the court to the next. It must be two feet wide. Although there are no specific mesh requirements, it should not be able to let a ball pass through it. The net will be suspended over the court, and should be 36 inches high at the sides and 34 inches the center of the court. You may place a center strap to help adjust the height at the center of the net. The top of the net should be edged with white binding of about two inches that covers the net’s cord. Net posts must be placed on the outside of the side lines. The recommended distance is about 12 inches from the side line. Is it different from a tennis net? Can’t find a pickleball net? Can you just use a tennis net? Well, tennis nets are quite a bit larger and longer than pickleball nets. You can, however, choose to buy a tennis net adjuster for pickleball to adjust the height of your tennis net. Remember, that these two games might be similar but they are still completely different games. When you have all the tools for a successful pickleball victory, you need to move on to your battleground. What are you working with? Where can you go and how much space do you have? Let us find out! The court must be a rectangle, 20 feet wide and 44 feet long. This applies to both singles and doubles matches. The playing area should be a total of 30 feet wide and 60 feet long; this is the minimum and an actual width of 34 feet and breadth of 64 feet is preferred. The measurements have to be made outside the lines. The lines should be two inches wide and be the same color that contrasts to the court itself. Baselines are the lines parallel to the net on the ends of the court. Side lines are the lines perpendicular to the net. The non-volley lines are the lines between the side lines and are parallel to the net. They are located seven feet away from the net. The non-volley zones are the areas bounded by the side lines, the non-volley lines and the net. The non-volley and side lines are included in the non-volley zone. The center line is the line that divides the area between the non-volley and base line. The service courts are located on both sides of the center line, bounded by the non-volley, base and side line. 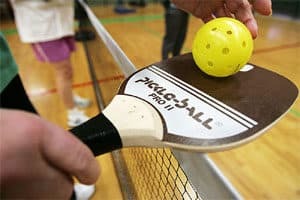 To play pickleball, you will need a partner to join you and play a singles game, or you can pair up with another couple and play a game of doubles. Sounds like fun, right? Here are the skills that players need and how they will be ranked according to their skill. 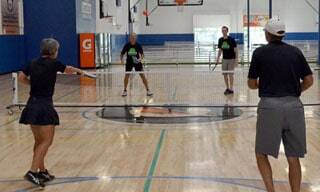 Like any sport, pickleball requires a unique set of skills, and players can be assessed according to their skills. The USAPA provides a sheet assessment list, which can be used to test your own skills. This can be useful when preparing for a tournament and can help you to prepare accordingly. You’re almost ready to play! Can you feel the excitement? We can! But before you begin, you need to be kitted out. Can’t have you going into battle without the proper armor, now can we? The first question you need to ask yourself is- what do I feel comfortable playing in? You will need comfortable sporting shoes with a good grip, and your exercise attire. These consist of sweatpants, shorts and loose-fitting shirts. Basically, whatever you feel comfortable in. If you want to go for a unified look, you could always order team shirts or find matching sportswear. Be sure to wear clothes that only have appropriate graphics or insignias on them, and keep in mind that you will be asked to change clothes that are wet, extremely loose or are inappropriate, but other than that- Go team! Now, you’re ready to go! You have all the right gear, know what a court looks like and even how to rank your skills. Great job! But what are you missing? You will need to know how to play… Here is the break down for your new favorite sport. The game may resemble tennis, but the rules are more akin to badminton or table tennis than traditional tennis. The game begins as one side serves the ball. To do so properly, the player who serves must make sure one foot is kept behind the back line and hit the ball using an underhand swing, while aiming at the service court, and clearing the no-volley zone. Service always begins from the right-hand court, and only one fault is permissible. In a game of doubles, both players must get a turn to serve, then it will be the other team’s turn. Both sides need to let the ball bounce once before beginning the game. After that, players are allowed to volley the ball if they aren’t in the non-volley zone. A team only scores when they are serving, and the game is played to 11 points and must be won by two points. Like tennis, there are several faults that can be committed by a player or team; these faults result in the loss of one point for the player. Serve motion: The underhand serve motion must be made with an underhand stroke so that contact is made with the ball below waist level. Serve position: The server’s feet must be within the serve court. Interference: If the serve clears the net and the opposing team interferes with the ball’s flight, then it is a point for their team. Server Foot fault: The server’s foot may not touch the outside extension of the base, center and side line. Service faults: If the ball hits the ground but no swing was made, it is not a fault, but if the ball hits any permanent object, then it will be counted as a fault. Or if the ball touches the server’s partner or any article of their clothing. <li>Readiness: The game will only continue if both sides have returned to their respective positions, the score has been called out and both sides have indicated that they are ready. The server and receiver is each allowed 10 seconds to get ready and it is the server’s responsibility to check that the receiver is ready. Service sequence: If in a doubles game, the wrong team member serves, it will be counted as a fault. The receiver’s partner may stand anywhere on or off the court. Out of Bounds: If a ball hits anywhere over the base or side line, even if the side of the ball overlaps the line- it will be considered out of bounds. Time outs: Each player or team is allowed two time outs per game, and the time outs should only last a minute each. Injury time outs are another story. If the referee agrees that an actual injury took place, then the player may have 15 minutes to recuperate. If after those 15 minutes, the player is not fit to continue, then the game will be awarded to the opponents. Of course, these are not all the rules, since there are a few codes of ethics and detailed instructions for tournaments, but you can click here for the more detailed list. Pickleball is one of the fastest growing sports in America, and it is estimated that it may one day replace tennis’s popularity. 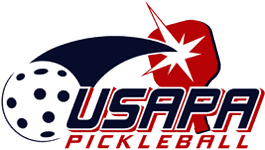 Such a dynamic sport requires organization, and so the USA Pickleball Association was founded. Based in Pittsburgh, the USAPA decides on regulations and rules for tournaments to allow for a more enjoyable game so that the game remains loyal to its roots. And why do they get to do that? They are responsible for organizing the tournaments each year, such as the Pickleball Classic, the proceeds of which are donated to help with Parkinson’s disease. Thanks to the USAPA, pickleball enthusiasts can come together and enjoy stimulating tournaments and a friendly, professional environment. When you join the USAPA, you can find fellow pickleball enthusiasts, find places to play and sign up for tournaments. The keep the integrity of the game that has become dear to so many people and help players to play competitively. All you should do is join the USAPA today to benefit! 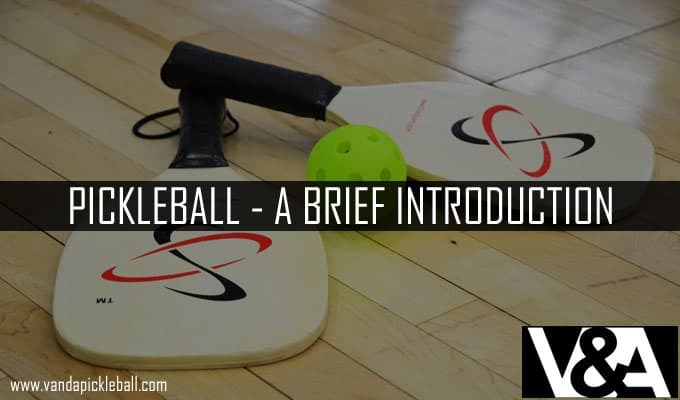 We hope you have enjoyed your introduction the world of pickleball! From its origin in that family backyard all those years ago, to the thriving competitive sport that it has become. it has been quite the journey. You are now fully prepared to enter the challenging and exciting world of pickleball. We know that you are going to be brilliant at it, and we look forward to seeing your face at future tournaments. See you on the winner’s podium, fellow pickleball enthusiast!